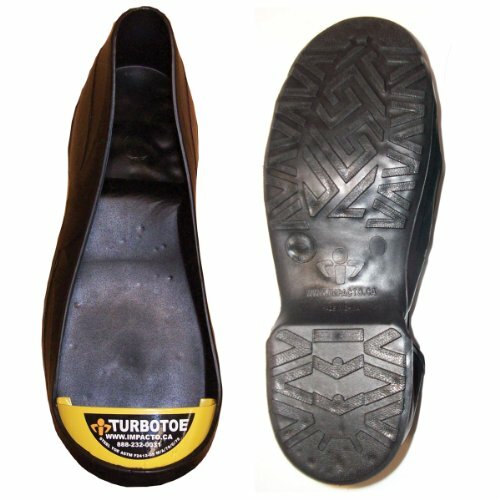 TURBOTOE Steel Toe Cap. Protects the toe area from accidental impact, crushing or stubbing. Made of flexible, pliable PVC. 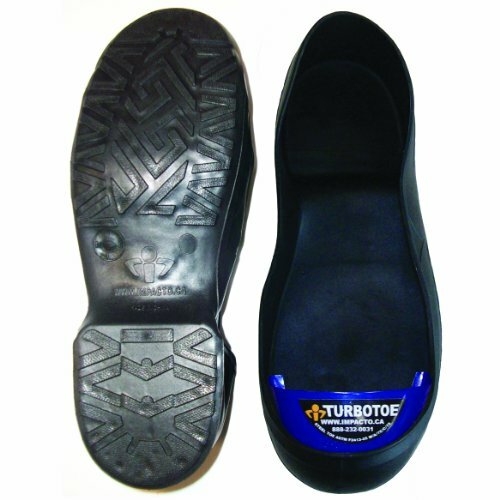 Treads under sole to prevent slipping and help liquid flow away from the foot. Certified Steel Toe ASTM F2413-05 M/A/75/C/7. CE and CSA certified. 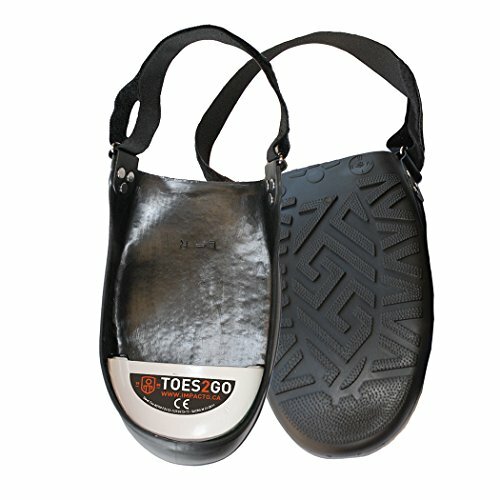 The TOES2GO protects the toe area from accidental impact, crushing or stubbing. Ideal for any working environment that carries a risk of toe damage or has a steel toe cap requirement. Perfect for visitors, casual or temporary workers, management, clerical and sales people. 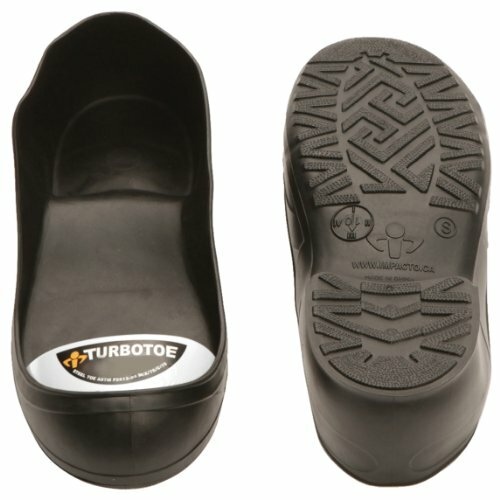 The TOES2GO fit over all types of footwear providing a solid protecting cap. Can be comfortably worn over dress shoes, running shoes, most boots and even shoes with a heel. 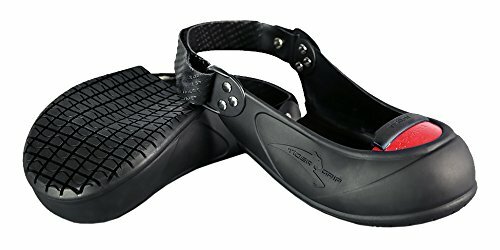 Affordable alternative to footwear with built-in steel toe cap. 100% waterproof. CE Certified SATRA M 21/ Toes2Go Medium fits Shoes Sizes Men 8-13 & Women's 10-13. 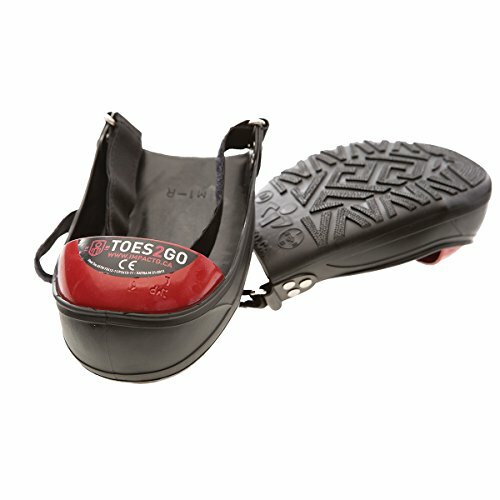 The TOES2GO protects the toe area from accidental impact, crushing or stubbing. Ideal for any working environment that carries a risk of toe damage or has a steel toe cap requirement. Perfect for visitors, casual or temporary workers, management, clerical and sales people. The TOES2GO fit over all types of footwear providing a solid protecting cap. Can be comfortably worn over dress shoes, running shoes, most boots and even shoes with a heel. Affordable alternative to footwear with built-in steel toe cap. 100% waterproof. CE Certified SATRA M 21/ Toes2Go Small fits Shoes Sizes Men 2-7 & Women's 4-9. 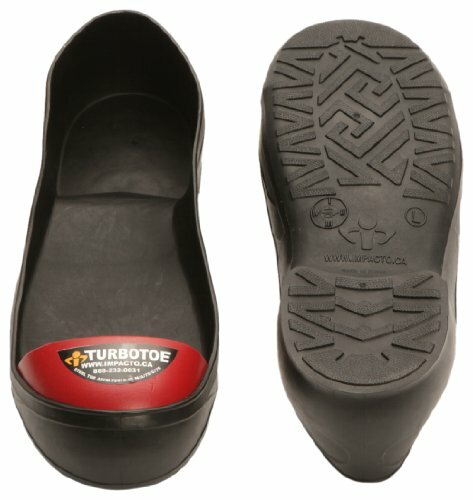 Compare prices on Steel Toe Shoe Covers at Shopsimal.com – use promo codes and coupons for best offers and deals. We work hard to get you amazing deals and collect all avail hot offers online and represent it in one place for the customers. Now our visitors can leverage benefits of big brands and heavy discounts available for that day and for famous brands.